Taipei, Feb. 7 (CNA) The destruction in Tainan during a strong earthquake Saturday was due largely to a geological factor called the "site effect," which was why the city sustained more serious damage than the area of the quake's epicenter, according to government experts. Shin Tzay-chyn (辛在勤), chief of the Central Weather Bureau (CWB), pointed out that Meinong District in Kaohsiung City, the epicenter of the magnitude 6.4 earthquake, suffered hardly any damage, while parts of the neighboring Tainan City were devastated. He said most earthquakes in southern Taiwan are concentrated along a fault line stretching from Jiasian in Kaohsiung to Hsinhua in Tainan. The Jiasian quake in 2010, for example, occurred along that fault line, about 10 kilometers from Meinong, and was of the same magnitude as Saturday's temblor, Shin said. There were also other similarities he said, noting that both quakes were centered in a mountainous area at a shallow depth -- the one on Saturday at 16.7 kilometers below the surface and the Jiasian quake at 22.6 km. 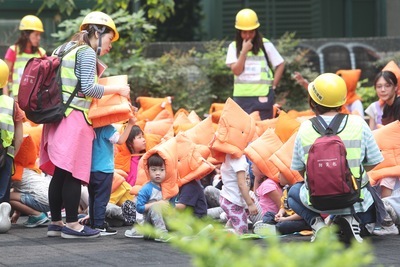 But while the Jiasian quake caused no damage or casualties, the temblor on Saturday toppled several structures in Tainan City, including a 16-story residential complex, killing at least 26 people, Shin said. Lin Tzu-wei (林祖慰), the head of the CWB's Earthquake Forecast Center, said the Meinong earthquake was more destructive mainly because of soft soils in the Tainan area. Surface ground motion can be strongly amplified in such geological conditions, which are known as the "site effect," Lin said. It appeared that the seismic waves in Saturday's earthquake traveled northwest from the epicenter to Tainan through the soft soil in the Chianan Plain, which stretches from Tainan City to Chiayi County to the north, Lin said. He said structural factors in the city also contributed to the devastation caused by the earthquake.